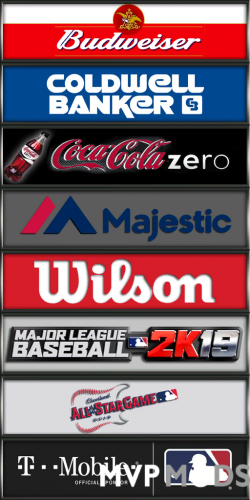 Just like last year, this mod replaces EVERY 2k12 logo/texture that I could find within the game, including all advertising within every stadium. 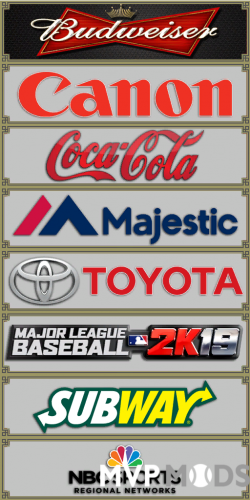 Most of the stadium ads are unchanged from last year's mod, except for the ones referencing the 2018 All-Star Game. 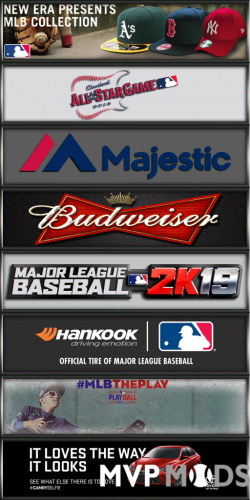 Those have been replaced with the 2019 ASG Logo. The only stadium I couldn't get it to work on was Suntrust Park (Atlanta) since I can't edit textures in @DaSteelerz custom stadium using open source tools. 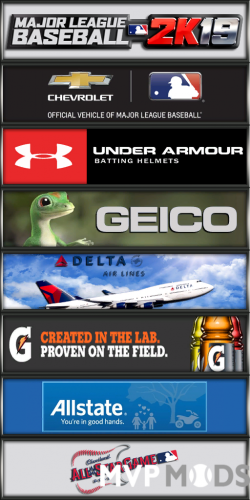 It's a moot point however, since he's used real-world advertising in his stadiums anyway. If you see any I may have missed, please feel free to comment and I'll see about finding and replacing it. As with any mod, remember to back up your files prior to installation. Unlike last year, I wasn't able to upload it as a single file, so there must be some newer file size limits in place. The zip file is broken into 6 files, and I recommend using 7zip to extract them. 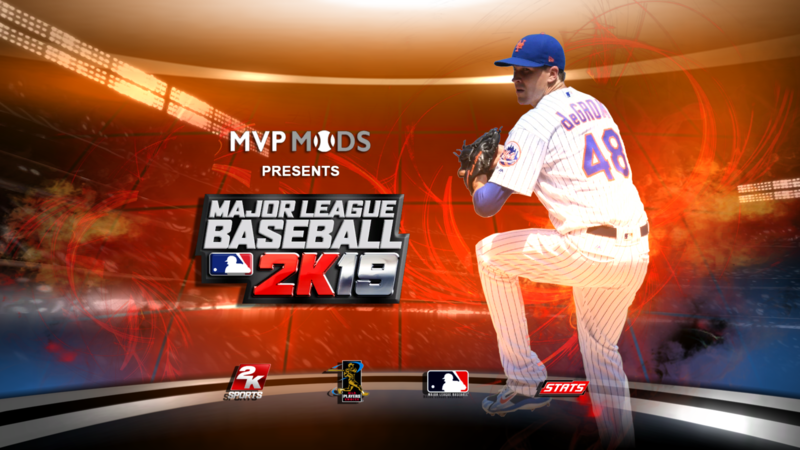 Now fully compatible with MLB 2K15 Total Mod. 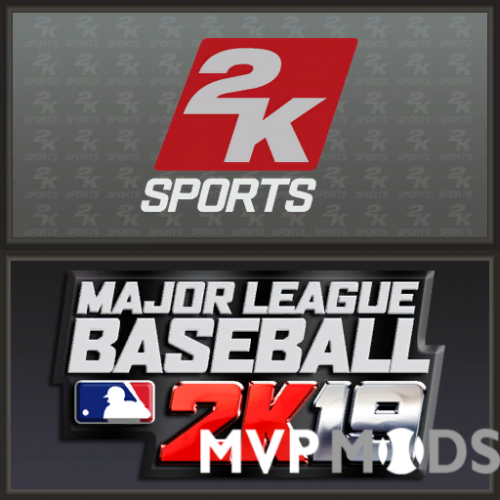 You can use my mod without using MLB2K15, but if you want to use MLB2K15, you'll need to have it installed before installing this. 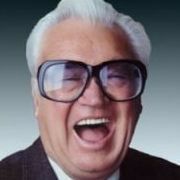 Thanks for being such a star. This means a lot to me. Excellent work my friend, thank you. 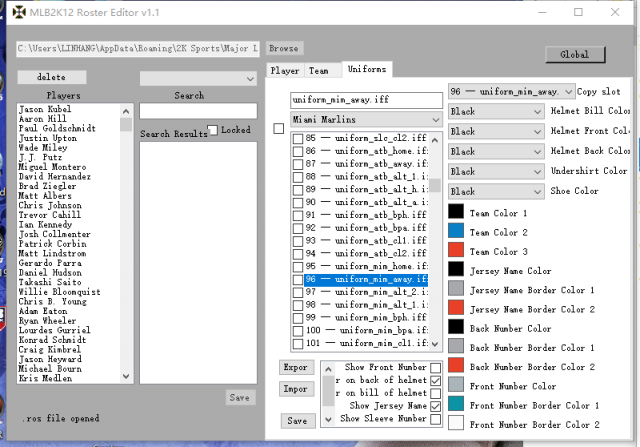 bro,how to import the proper colors? I used the roster editor to open the file "uniform",but can't find where i can change the number and the English alphabet. Could you help me? I came this forum first time. Just open the roster editor, click the browse button at the top to find and open your roster. Once your roster is loaded, click the uniform tab at the top right. Then click the import button and select the text file. 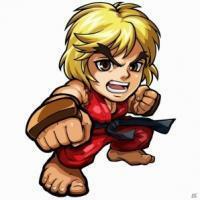 this version what it is the diferent to the other version?? 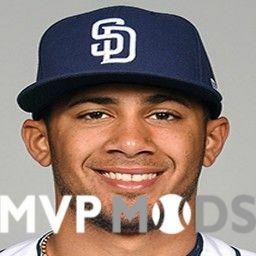 The previous versions used stock 2K12 files before I modified the images. 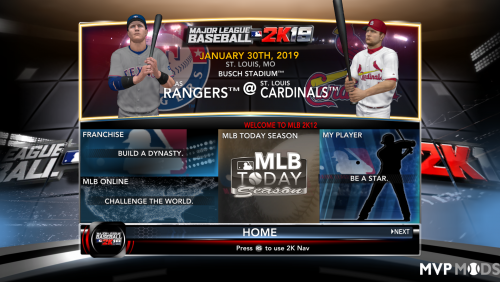 This version uses MLB2K15 Total Mod as a base before I modified the images. 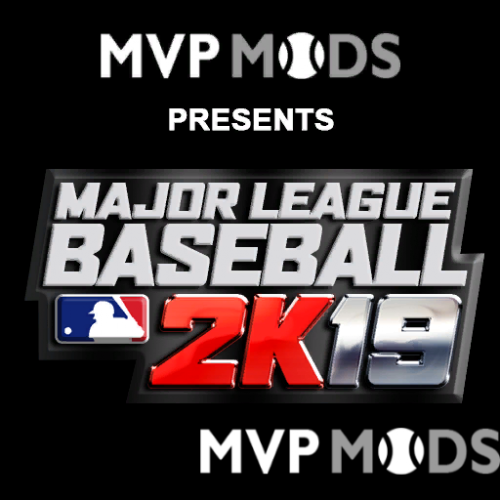 So many people use MLB2K15 Total Mod that it only made sense to use it as a base. With over 7K downloads, and no one else reporting anything other than a minor issue here and there, you must be doing something wrong. Do you know how to extract split zip files? Delete all of the file parts you downloaded, and re-download them. 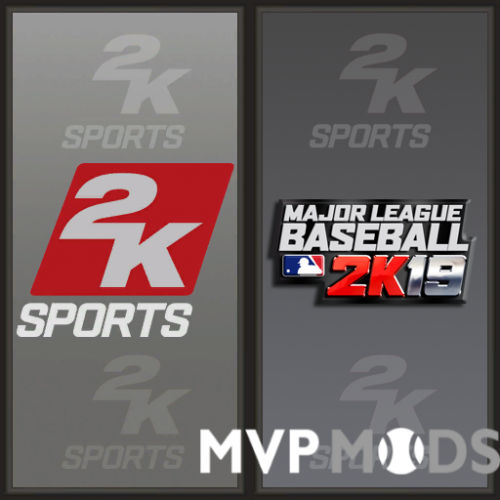 Then right-click ONLY THE FIRST one and select 7-Zip context menu, then select Extract to "MLB2K19-v2.2.1\". 7-Zip will automatically extract ALL FILE PARTS into that directory. Then you can copy all of the files in that directory over to your game directory.